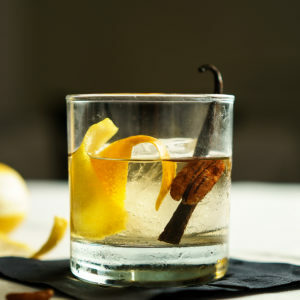 The name Nueva Moda means “New Fashion” because this is basically a twist on an Old Fashioned. Sweetened with vanilla goodness rather than sugar. And when choosing tequila for this drink, it has to be done right, not just any tequila will do the trick here.